In 1978, the Civil Service Reform Act (CSRA) was created. Among other things, the law put the federal labor relations system under a statute—instead of an Executive Order—and created new avenues of appeal for federal employees. Congress excluded the Federal Labor Relations Authority (FLRA) from the collective bargaining requirements of the new statute. In fact, Congress explicitly excluded the FLRA from the list of agencies required to follow the collective bargaining requirements of federal agencies and unions. Other agencies excluded included the FBI, CIA, NSA and GAO. And, according to the labor relations law, no bargaining unit is appropriate if it includes “an employee engaged in administering the provisions of (the labor relations law). That is no longer the case. FLRA Chairman Colleen Duffy Kiko sent a letter to the FLRA union on December 21, 2018 notifying the organization that by establishing a labor relations system within the agency, the FLRA has been violating the labor relations statute that the FLRA was created to enforce. In effect, Chairman Kiko’s letter effectively notifies the union that it is being decertified to put the agency in compliance with restrictions of the federal labor relations law. How Did an FLRA Union Come About? FedSmith author Bob Gilson has previously written an article describing how this anomaly occurred. The legislative history is silent as to the reason for the Authority’s exclusion from the statute. However it is reasonable to infer that such an exclusion was provided in large measure for administrative reasons. That is, the Authority could not be an “agency” subject to the statute and at the same time, serve as an impartial, quasi-judicial tribunal charged with the responsibility of resolving labor relations matters with respect to its own employees. Under such an analysis and in the absence of any legislative history to the contrary is the view that Congress did not intend to preclude the Authority from establishing for its own employees a labor relations system developed consistent with applicable laws and regulations and the Authority’s unique status under the statute. What this document appears to conclude is that there was only one law that excluded the FLRA from having a union of its own employees. Since there was no reason given by Congress as to why the FLRA was excluded from these provisions, there is no legislative history that explains the reason, and there is no other law allowing the agency to move forward with recognizing a union of employees, it is legal for the FLRA to recognize the union of its own employees. Why Did the FLRA Move Out Now? According to the letter from Chairman Kiko to the union, the current union contract expired on December 21, 2018. As the agency had agreed to the union contract under different leadership, the FLRA continued to live up to the terms of the agreement until the contract expired. As an example, the agency negotiated with the union and entered into a Memorandum of Agreement with the union in working out the details of closing two FLRA regional offices. 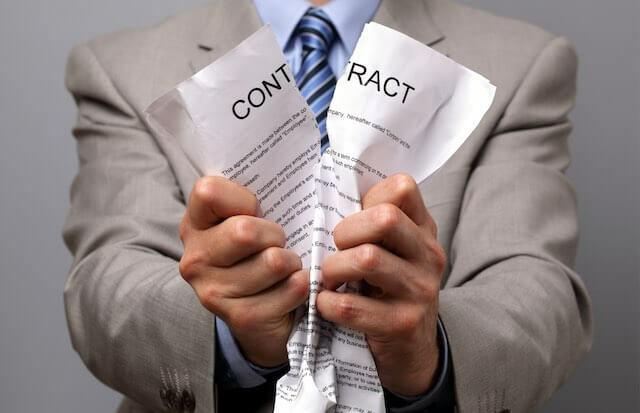 The contract was terminated as soon as it expired. The Chairman’s decision to remove recognition of the union is based on the plain language of the law. No doubt, while the decision appears well-founded in implementing Congressional intent, we can plan on hearing additional criticism of the Trump administration for implementing this decision. FLRA Has a Union - On What Authority?